Timothy Murphy was born in 1751 in Delaware, Pennsylvania, the son of Donegal parents. Thomas and Mary Murphy left their Tirconnell home just months before Timothy was born. The Ireland they left was racked by penal laws, land agitation, social oppression and for the Murphy’s, a land of opportunity lay across the Atlantic Ocean. He grew up hearing tales of red coats rampaging through the glens of Donegal and the unjust treatment dished out to those who resisted the hand of the oppressor. At the age of 8, he and his family moved to Shamokin Flats, today known as Sunbury town. As a teenager he worked as a farm hand and moved to the wilds of Wyoming County in West Pennsylvania with his employers: the Van Campen family. 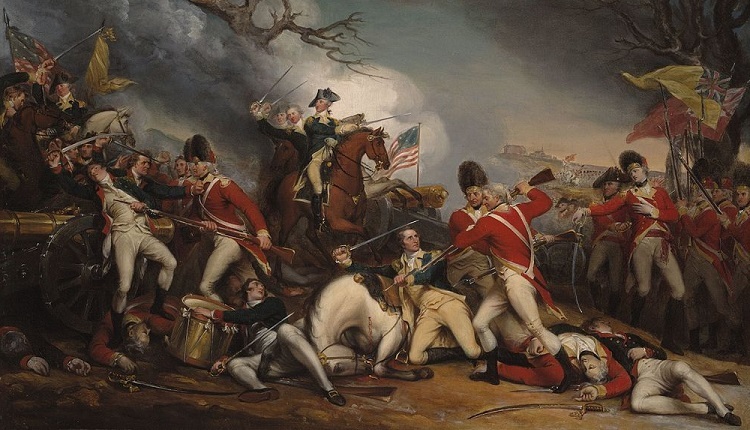 Murphy joined Captain Lowdons Company of Northumberland County Riflemen in 1775 and during the American War of Independence he saw action in the siege of Boston and the Battle of Long Island. Murphy was fighting those who drove his own people from their land and in his fight against the red coats he rose through the ranks to become a sergeant in the 12th regiment of the Pennsylvania Line, serving in New Brunswick, Trenton and Princeton. Murphy was one of 500 riflemen, handpicked, to join General Daniel Morgan in 1777 to take on the British in upstate New York. In October of that year at the Battle of Saratoga, Murphy climbed a tree and took aim at Brigadier General Simon Fraser. He also took out Sir Francis Clarke, Fraser’s aide decamp. With two shots Murphy managed to remove the two high ranking members of the British troops. It paved the way for the Americans to take advantage of the British panic which resulted in their surrender to the independence fighters. 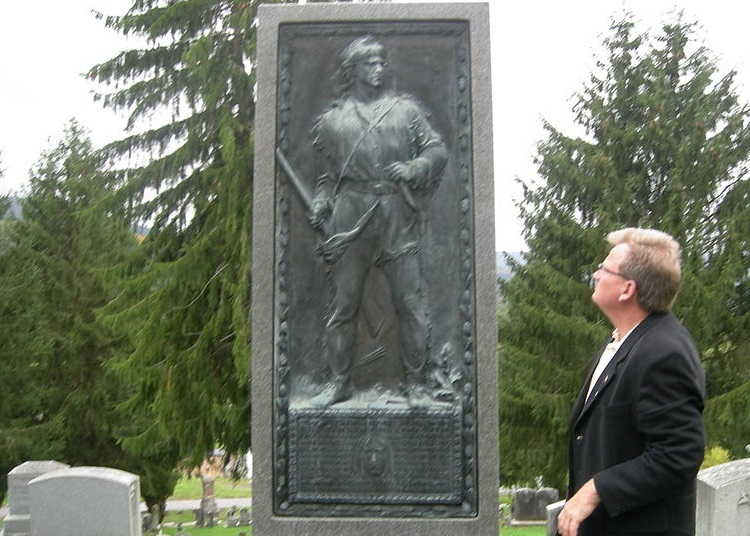 In the Summer of 1778 Timothy Murphy was part of George Washington’s company that was sent to the Mohawk Valley to kill the notorious Christopher Service who led British troops in terrorising the region. Murphy was successful in tracking down and finishing off Christopher Service and by Winter of that year he was in the thick of action at Unadilla defeating pro-British militia. In 1779 Murphy enlisted in the 15th regiment of the Albany county militia and married Peggy Feeck and they had five sons and four daughters. A year later while on a scouting expedition in the forests of Delaware county, Murphy was ambushed and taken prisoner by a Native American tribes aligned with the red coats. Murphy, who was with Captain Harper, managed to untangle themselves out of ropes in the dead of night and, in a rather bloodlust way, they killed all of their captors as they slept. They left one alive to tell the tale and spread word of the fearsome reputation of Timothy Murphy. When British and Canadian troops raided Schohaire Valley, Murphy and just under 200 of his fellow independence fighters found themselves surrounded in their fort by the 2,000 strong enemy force. Major Woolsey, Murphy’s commanding officer, surrendered to the red coats but, as the enemy forces sent an emissary to accept Woolsey’s surrender, Murphy shot a bullet over the the head of the emissary. Three times Murphy did this and Woolsey ordered him to stop. When Murphy refused, Woolsey ordered his arrest but, no one was willing to carry out this order. The surrender was never secured, thanks to Murphy’s stubborn defiance and after some more fire fighting the red coats decided to turn around and head back to Niagara. No doubt Murphy’s actions saved the lives of those inside the fort, including many women and children, including Murphy’s wife and children. In 1781 Murphy re-enlisted in the Pennsylvania Line for the final chapter in the fight for independence – the Battle of Yorktown. He later returned to Fultonham in the Schohaire. Murphy’s wife Peggy died in 1807 and he later married Mary Robertson with whom he had 4 sons. With his second wife, Murphy moved to Charlottesville where he became a farmer. He returned to Fultonham to live out his last days, dying 200 years ago, on the 27th of June 1818 at the age of 67. Murphy lies in a grave in Middleburg Cemetery and in 1910 his descendants erected a monument over it. Three years later the Ancient Order of Hibernians remembered the son of Donegal with a marker at the Saratoga battlefield. In 1919 a marker commemorating Murphy was also erected there by the New York State and was unveiled by Governor, and future US President, Franklin D Roosevelt. After Eighth | How can Ireland continue the success of Repeal?